You've read their prose. Now hear their voices. 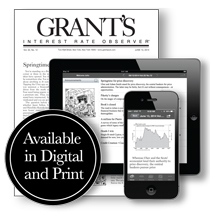 Listen to Jim Grant and Evan Lorenz talk high finance, Grant's-style, with plenty of wit and historical context to enliven their discussion of today's foremost investment topics. 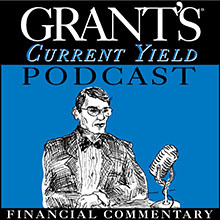 Welcome to Grant's Current Yield Podcast!